You mean it would actually run out of money? Hard to believe? Not really. 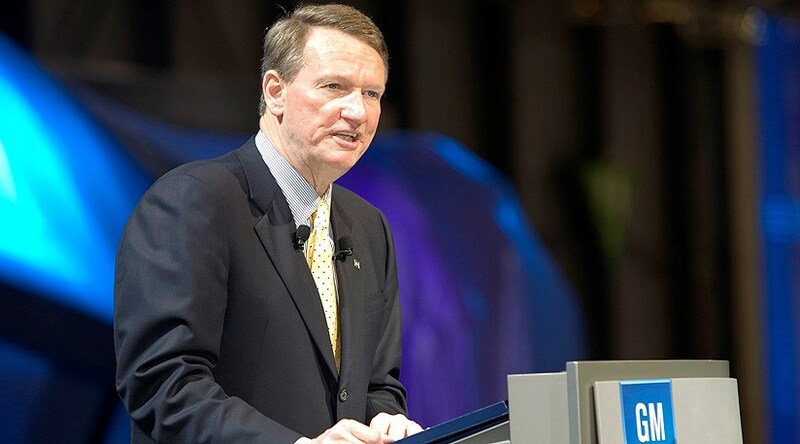 Announcing its latest – and disastrous – round of financial results, GM boss Rick Wagoner said the company’s cash reserves had tumbled from $21bn in June to $16.2bn in September. The car giant would need a further $2bn to see it through to the end of the year, leaving it with just $14bn in liquidity to kick start 2009. Wagoner claimed the company has identified ways to release a further $5bn for 2009 – this in addition to the planned $15bn cost cutting measures announced since January 2008 – but this would still force the company to start selling off further assets or seek government funding to continue in 2009. It needs it – and GM is not alone. Toyota’s latest round of financial results look pretty grim, too. It’s operating profit for the first half of the fiscal year plunged 54.2 percent to ¥582bn (£3.61bn) with net income down 47.6% to ¥493.4bn (£3.1bn). This, on the back of car sales that dropped by 51,000 to 4.25 million compared to the same period last fiscal year. Despite a record high domestic market share of 42.5%, Toyota blamed the growing strength of the yen for its falling domestic margins and the difficult market conditions in the America and Europe. In North America, operating profit plummeted by $2.2bn to just $347m. Similarly, European operating profit decreased by £372m to a lowly £54m. The plunging figures have prompted Toyota to set up an ‘Emergency Profit Improvement Committee’ that will, according to Toyota vice president Mitsuo Kinoshita, secure company profits for 2009 and 2010. I guess Ford is faring a little better than GM, though? And Chrysler’s outlook for 2009 turned from bad to worse when it announced last week that acquisition talks with a third party – understood to be GM – had fizzled out. GM was understood to be in deep negotiations with its smaller rival to take on Chrysler for mutually beneficial cost savings. Is there anyone out there going to survive? Well Porsche seems to be doing what it does best – making an absolute killing. But it’s not from selling cars. Its increased stake in Volkswagen has boosted its bottom line by a staggering £5.34bn, not to mention a further £790m from a resultant rise in its share price. The end result – a 46% hike in pre-tax profits to £6.8bn. Which means it posted a profit rating eight times that which it normally enjoys. Little wonder Porsche boss Wendelin Wiedeking’s paypacket for last year is rumoured to top the £63m mark.